Open enrollment has started for Americans to signup and/or make changes to their healthcare plans. 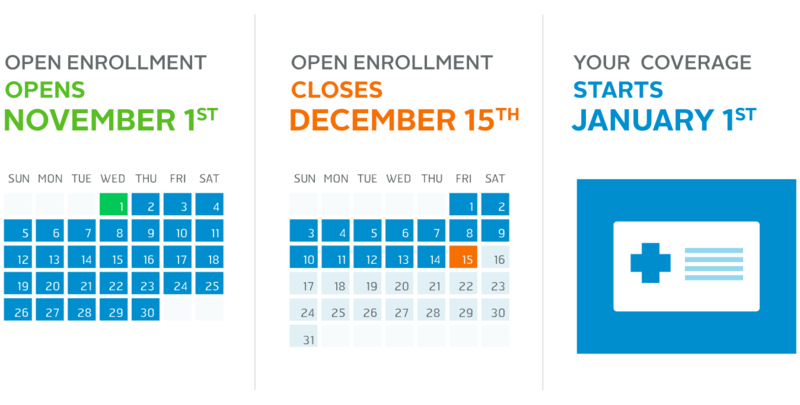 Open enrollment for 2018 is only between November 1st and December 15th so don’t procrastinate because after December 15th you will not be able to sign up. Here are important links that allow you to see plans for your area.